Just a heads up that over on the Oak House Studio blog there's a new challenge where the theme is TEXTURE. Here's a card for a man for a change using homemade washi tape banners. I've used 4 Oak House Studio stamps that can be used to create texture - Squares Border, Linen Background, Harlequin and Checkerboard with Pigment Ink Pads - Midnight, Forest Green, Fired Brick and Powder Blue. 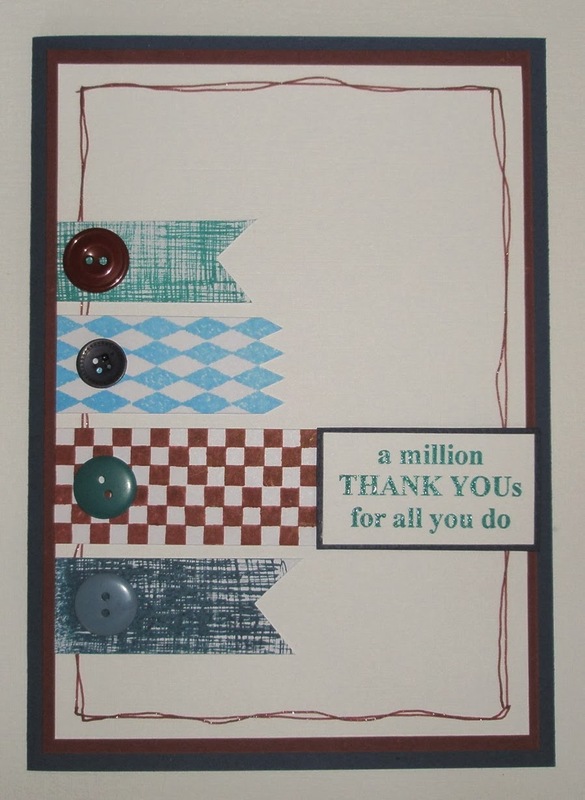 I've just added some buttons and the sentiment from the Men's Stamps set. Oak House Studio stamps are very versatile - they are clear but can be used to stamp textures in polymer clay, embossing paste and hot embossing powder without coming to any harm. 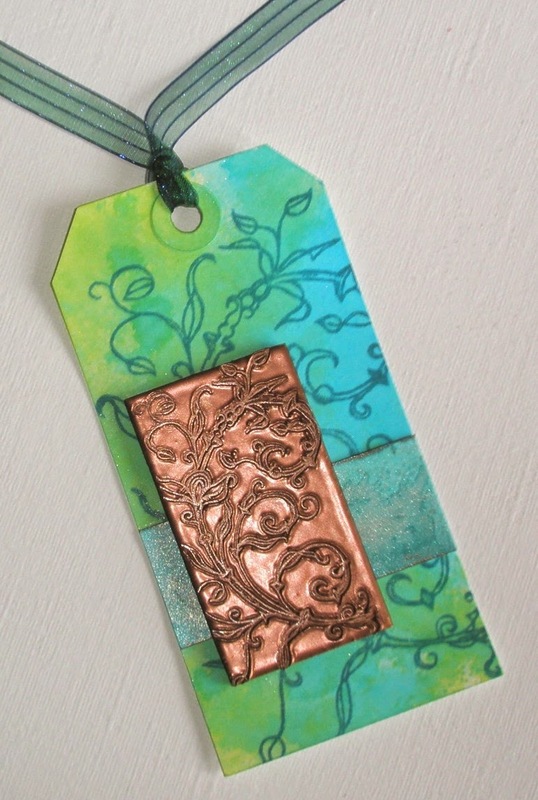 For this tag, I've used Totally Turquoise and Citrus Lime Ink in a Bottle for the background and stamped this with the large Walesby Flourish. The tile is triple embossed with copper and stamped with the small Walesby Flourish. All stamps, ink pads, spray inks and embossing powders are from Oak House Studio and can be bought HERE. Pop over to the Oak House Studio blog, join in the fun - there is a £40 prize to be won! Oak House studio are also looking for new Design Team members so if you are interested, all the details are HERE. Good luck!